The following are examples of body language or non verbal cues. Which ones are positive and which ones are negative? 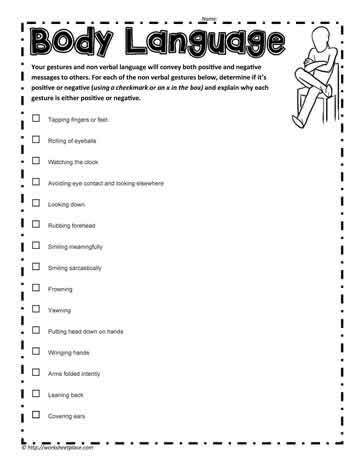 Learn how to read body language to help with social skills and with problem solving skills.